With a name like GRAVITYMASTER the Casio GPW-2000-1A had better make you fly. Sadly, it doesn’t. However, it can help you while you jet from spot to spot. The $800 GPW-2000-1A is specifically designed for pilots and travelers. It connects to your phone or the local GPS positioning satellites to set the time at your current location and a second timezone. Further, it has a clever Flight Log function that lets you drop a pin at a certain location by pressing a button at 5 o’clock. It has a nicely lumed face and hands and a surprisingly bright LED illumination system that lights up the watch like a firework. A built-in solar power supply keeps the watch charged at all times. 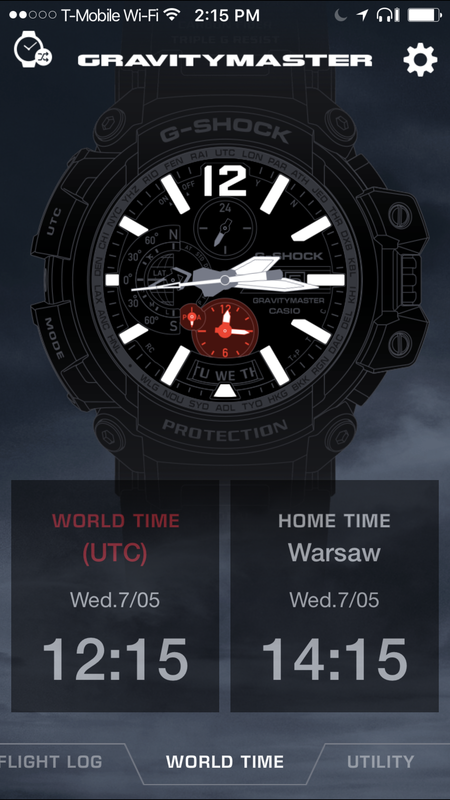 The watch even has a unique latitude and longitude viewing system that shows you exactly where you are when the watch picks up a GPS satellite signal. All of this comes in a fairly massive G-Shock package that looks like it could survive being run over by a Dreamliner. It has a massive 57mm case and 3D dial. I’ve written about a few Casios so far and this one is fairly unique. While I’m not exactly certain how I’d use the features – the app-powered dual-time readout is great but the lat/long output seem a little bit of overkill – I could see this as a nice addition to a cockpit. It’s been built to survive high G-forces and lots of vibration and, as such, it’s a great tool watch for pilots and travelers. That said, I’m a big fan of their Pro-Trek series and would have liked to see some of those sensor readouts on this monster. A watch like this isn’t quite a smartwatch nor is it quite an analog piece. Thanks to miniaturized motors and some amazing materials you get watch that keeps solid time, can take a massive beating, and looks like something a robot could fall in love with. Basically all of the things I look for in a quartz watch.